Need pro-level features on a budget? The best cameras for students mix advanced features with a more palatable price point. From $2K entry level full frame cameras to $600 budget picks, here are five of the best cameras for students. The post Light on price but rich on features, these are the best cameras for students appeared first on Digital Trends. I guess Eye-AF is the future. Following Sony’s and Nikon’s Eye-AF releases, Canon could not afford to be left behind. So, Canon is releasing their own firmware for the Canon EOS-R which mainly includes a new eye-AF functionality. While Canon HK published the news about two weeks ago, the actual update became available via Canon […] The post Canon EOS R Firmware update brings Sony-like Eye-AF appeared first on DIY Photography. An integrated flash can come in handy for photographers, but it’s useless for vloggers and video makers. However, a new Canon patent could resolve this. It shows a set of LED lights integrated with the pop-up flash to provide DLSR video makers with a continuous light source. The patent discusses how the LED lights can […] The post LED lights could be included with the pop-up flash on Canon DSLRs, new patent reveals appeared first on DIY Photography. 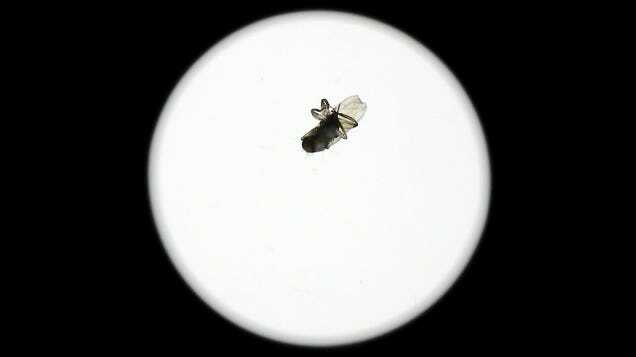 How Did This Full-Grown Fly End Up Inside a Sealed $2,000 Camera Lens? Nearly two years after releasing the EOS Rebel SL2, Canon has announced the newest addition to its EOS line-up. Canon EOS Rebel SL3 is another affordable, tiny, and lightweight DSLR aimed particularly at those who are just starting out at photography and video. A big improvement over its predecessor is that it shoots 4K/24p, but […] The post Canon brings 4K video to its new EOS Rebel SL3 camera, but there’s a catch appeared first on DIY Photography. Canon's newest DSLR is an entry-level model with impressive battery life and beginner-friendly features. But some of the SL3's key advantages over the SL2 are focused on live view operation, where a mirrorless camera would make more sense. The post The Canon EOS Rebel SL3 is a DSLR masquerading as a mirrorless camera appeared first on Digital Trends. Wireless mics, filters, and cinema lens galore. This week's photography news includes a new $200 beginner-friendly mic from Rode, new high-end variable neutral density filters, and cinema lenses from both Canon and Fujifilm. The post Photography News: Rode’s new $200 wireless mic is designed for video newbies appeared first on Digital Trends. FTZ Lens Adapter is now free? Seriously, Nikon? Canon has launched its first set of cinema prime lenses made for PL-Mount cameras. The series is named Sumire Prime, and it consists of seven prime lenses covering focal lengths from 14mm all the way to 135mm. The lenses are rather fast, ranging from T3.1 to T1.3, depending on the model. Canon has also implemented […] The post Canon launches its first series of seven PL-mount prime cinema lenses appeared first on DIY Photography. Both Nikon and Canon have launched into the full frame mirrorless game -- but which brand made the better flagship camera? Compare the features between the Nikon Z 7 vs. the Canon EOS R in this guide. The post Nikon Z 7 vs. Canon EOS R: Full-frame flagship mirrorless cameras compared appeared first on Digital Trends. I’m a left-eyed shooter. I’ve just come to accept the fact that my LCD screen’s (assuming digital) gonna get covered in nose sweat and other crap when I shoot. It’s a pain, but I’ve dealt with it for 20 years, and I’ll just keep on dealing with it. One thing I haven’t had to deal […] The post Left-eyed shooters are apparently upset with Canon over the EOS RP appeared first on DIY Photography. One company is making intentionally imperfect filters to create cool bokeh, light leak and flare effects with a set of variable prism filters from Prism Lens FX. In this week's photography news, find what feature the Canon EOS R is getting next. The post Photography News: These broken filters add sweet in-camera effects appeared first on Digital Trends. It’s always interesting to see camera reviews from shooters of systems other than that to which the camera they’re reviewing belongs. There is no doubt that photographer Manny Ortiz is well and truly a Sony shooter after switching from Canon several years ago, but he’s started branching out lately to try the other brands and […] The post A Sony shooter’s review of the Nikon Z6 appeared first on DIY Photography. Sure, the name says Cliq, but the new Canon Ivy Cliq Plus allows you to customize the sound the shutter makes with your own recording. The Canon Ivy Cliq Plus and Cliq are new digital instant cameras/printers designed for sharing. The post The Canon Ivy Cliq Plus is a digital instant camera/printer with custom clicks appeared first on Digital Trends. Canon has just announced the entrance into the instant camera market. After launching the mini photo printer Ivy (or Zoemini), Canon has built upon it to create two new instant cameras: Zoemini S and Zoemini C. Zoemini S and Zoemini C are essentially Canon’s mini printers on steroids. They don’t require you to transfer photos […] The post Canon enters the instant camera market with two new cameras with built-in printer appeared first on DIY Photography. Canon Asia has “pre-announced” that there is to be an upcoming v1.2.0 firmware for the Canon EOS R mirrorless camera. I’m not sure what a “pre-announcement” is. An announcement to say there’ll be an announcement? Isn’t that still just an announcement? Anyhoo (yes, it’s a word), there’s a new firmware coming. And it’s coming at […] The post Canon Asia “pre-announces” new EOS R firmware with improved Eye AF and bug fixes appeared first on DIY Photography. Most the time when I am out doing landscape photography, I have a Canon EF 16-35mm f/4L IS and Canon EF 70-200mm f/4L IS with me. On roadtrips, I try to bring my Canon EF 100-400mm f/4.5-5.6L IS II – it’s a fantastic lens with great image stabilization and impressive image quality. Unfortunately, it is […] The post Why Size Matters – Perspective and lens compression in landscapes at 400mm appeared first on DIY Photography. Published in the Japan Journal of Applied Physics, Canons is working on a new global shutter CMOS sensor with dual in-pixel charge domain memory. The rather technical paper explains the research and development of the new sensor technology. This new technology would allow camera manufacturers (or, at least Canon) to remove the final major mechanical component from […] The post Canon is working on a new global shutter CMOS sensor with dual memory pixels appeared first on DIY Photography. I’d think most people were pleasantly surprised with the release of the EOS RP. Full-frame mirrorless cameras were getting increasingly sophisticated, which is a good thing, but they were getting increasingly expensive along the way. After all, it’s the enthusiast and prosumer crowd that wants mirrorless cameras more than anyone else. Top tier professional photographers […] The post Dismantling the new Canon EOS RP in this extreme teardown appeared first on DIY Photography. A man was snapping a photo in Australia when the smartphone stopped an arrow shot at his face. In this week's photography news, see Canon's plans for a stabilized mirrorless, Hasselblad's newest accessories, Samyang's latest lens, and more. The post Photography News: Taking a smartphone photo probably saved this guy’s life appeared first on Digital Trends. It’s been rumoured, hinted and hoped that IBIS would be coming to the Canon EOS R mirrorless lineup at some point, and now Canon Image Communication Business Operations Group Executive, Yoshiyuki Mizoguchi, has confirmed that IBIS is is something they’re working on for future models in an interview with Amateur Photographer at CP+ 2019. They’ve also […] The post Canon exec confirms EOS R with IBIS is coming and not killing off EOS M appeared first on DIY Photography. While Nikon’s lens roadmap is pretty clear, although their intentions for future bodies haven’t, really. But Nikon has suggested that a lower entry level full frame mirrorless camera to compete with Canon’s recently announced EOS RP would be on the way. Now it looks like we might have the first leaked photo of that body, […] The post Leaked photo shows upcoming entry-level Nikon Z1 mirrorless camera – and it might be APS-C appeared first on DIY Photography. It looks like Canon may be hoping to succeed where Nikon failed with its short-lived KeyMission series of cameras. The folks at Cinema5D spotted a rather interesting looking camera on the Canon stand at CP+ 2019 this year, and so they had a quick chat with them about it. It looks like Canon may be […] The post Canon hopes to succeed where Nikon’s KeyMission failed appeared first on DIY Photography. Think a simple camera is harmless? Watch what would happen if it became tornado projectile in a video putting an old Canon inside a tornado cannon. See Meike's new 85mm lens and learn how Sony is busting myths about the E-Mount aperture. The post Photography News: This is what happens to a camera in a tornado appeared first on Digital Trends.